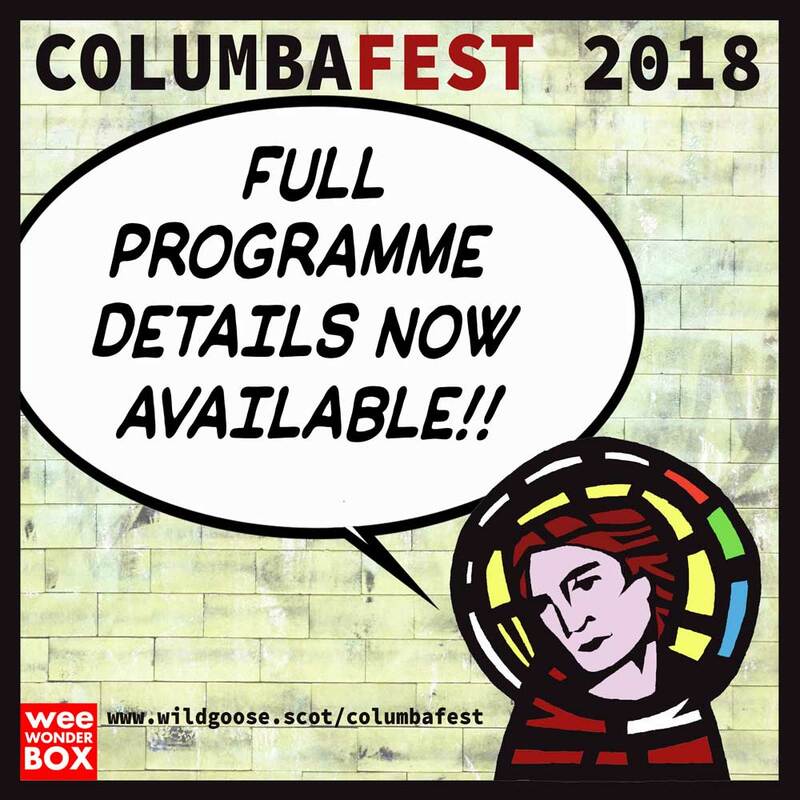 Columbafest 2018: Dreams and Visions … the Full Programme is now available. What does an ancient Biblical prophet, a medieval saint, a renaissance artist, a 19th century poet or a 20th century spy have to say about Brexit? Or big data? Or #MeToo? Or climate change? Or the plight of internally displaced people and refugees? Or about your local community? Your workplace? Join the conversation with us at ColumbaFest 2018, in Glasgow June 8-10 as we wrestle with all this and more. In turbulent, uncertain times prophets speak from the margins – starling and invigorating public debate. Prophetic voices from the fringes challenge convention, complacency and insularity. At Columbafest 2018: Dreams and Visions, we will be looking to the past and the future, to better acquaint ourselves with the present. Through workshops, discussion, poetry and song we hope to get better at finding and listening to prophets and perhaps even discover our own prophetic voice. Go to wildgoose.scot/columbafest for more the Full Programme and to book tickets.